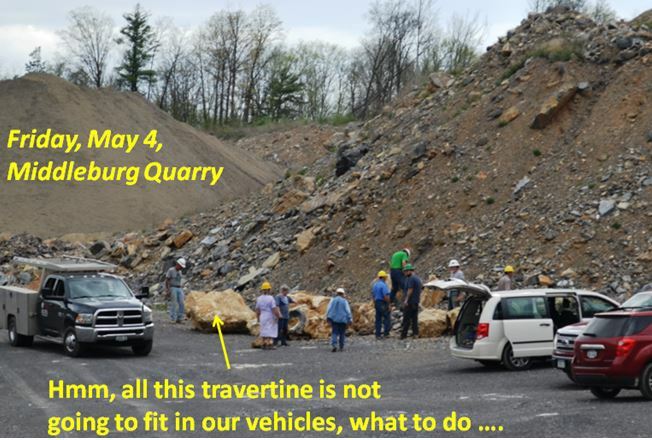 The first weekend of May split the Wayne County Gem and Mineral Club into two parties. 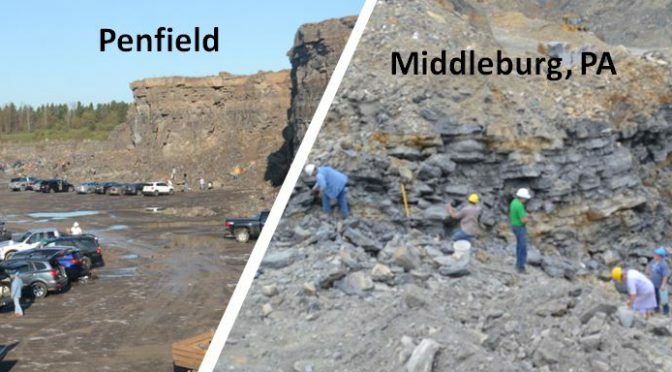 Many stayed in western New York and visited Penfield Quarry on the annual Dolomite Products open house. If you check out our club Facebook page you will find several had a successful day among nearly 200 collectors from across the northeast who visited that day. 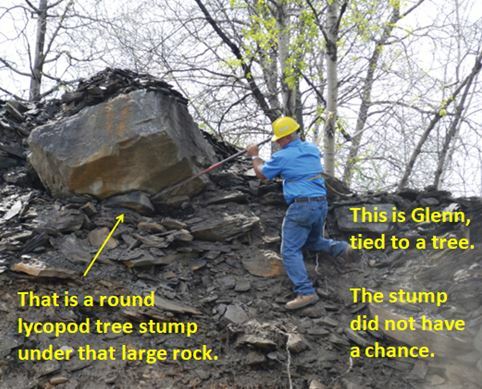 But others of us had planned our annual pilgrimage to central Pennsylvania for that weekend, travelling south with visions of wavellite and large lepidodendron tree stumps dancing in our heads. The rest of this note discusses the other group, the group that went south! 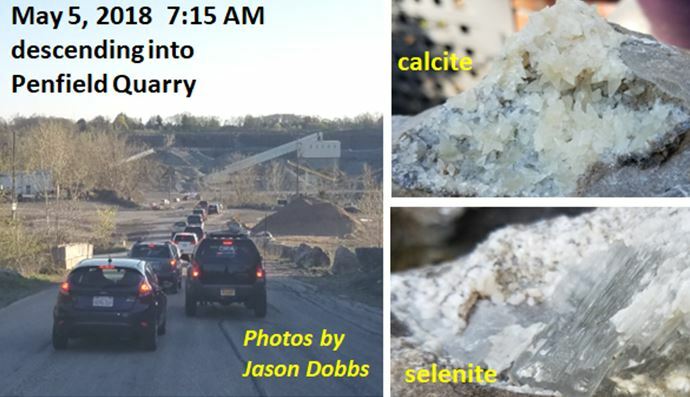 As usual our first stop on Friday morning was atop the National Limestone Quarry in Mount Pleasant Mills in search of sprays and balls of yellow-green wavellite (see photo on page 1). And as usual it was everywhere. Although quality pieces were scarce, there will most likely be a lot of folks finding wavellite in their GemFest $1 grab bags! Next, we headed into the Mt. 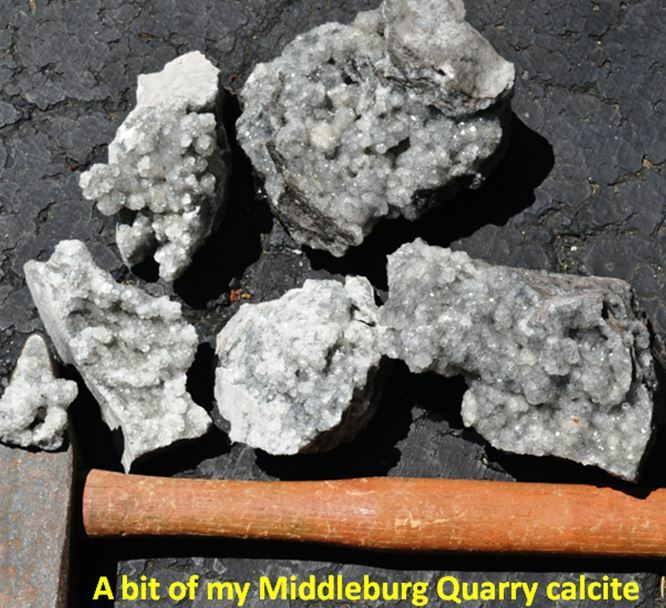 Pleasant Mills Quarry for calcite, but had been told not to dally there as the picking was really good over at the other National Limestone Quarry in Middleburg. And so it was. 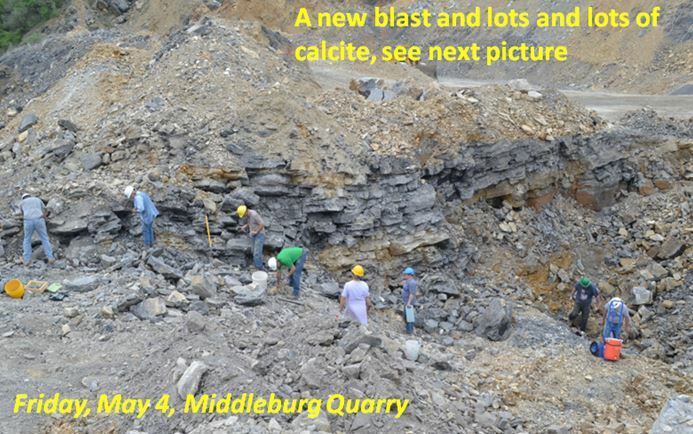 In mid-afternoon, owner Eric Stahl took us directly to an area that had been blasted just days before where large vugs filled with glistening calcite was just loose for the taking. He watched while we gleefully removed the bounty from the vugs (see photo atop next column). You are likely to see some of this on display at GemFest also.